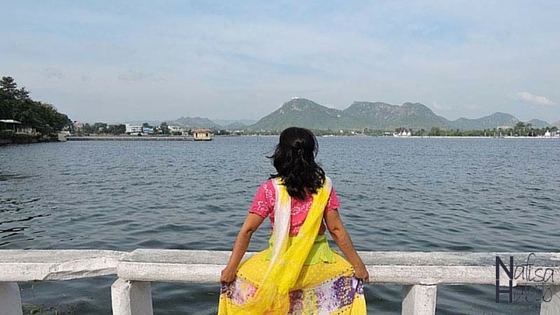 Udaipur, the romantic city in Rajasthan still attracts the tourist the same way with its timeless beauty. Nothing much changed since it built in 1559 by Maharana Udai Singh II. There are many romantic places here to explore and visit. And interestingly, most of them located on the banks of the most beautiful Lake Pichola. I just loved being here. I found all the places, the listed below top four romantic tourist attractions in Udaipur, India, you exactly shouldn’t miss visiting. Other locations featured from this movie are Lake Pichola, Lake Palace, Jag Mandir, and Monsoon Palace. Well, not everyone can afford a luxurious stay. Even my three nights stay at Hotel Mahendra Prakash (mid-range hotel) made me the happiest. Actually, Udaipur welcomes every kind of travelers to visit with different taste and attraction according to your range. You got to explore more inside. Have a look. Lake Pichola named from the small village Picholi. 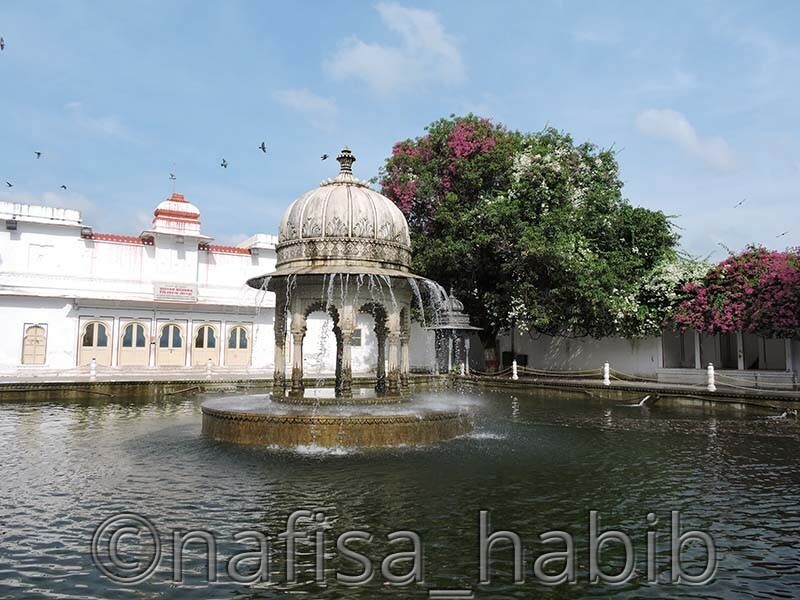 This is the oldest one among all lakes in Udaipur, built in 1362. 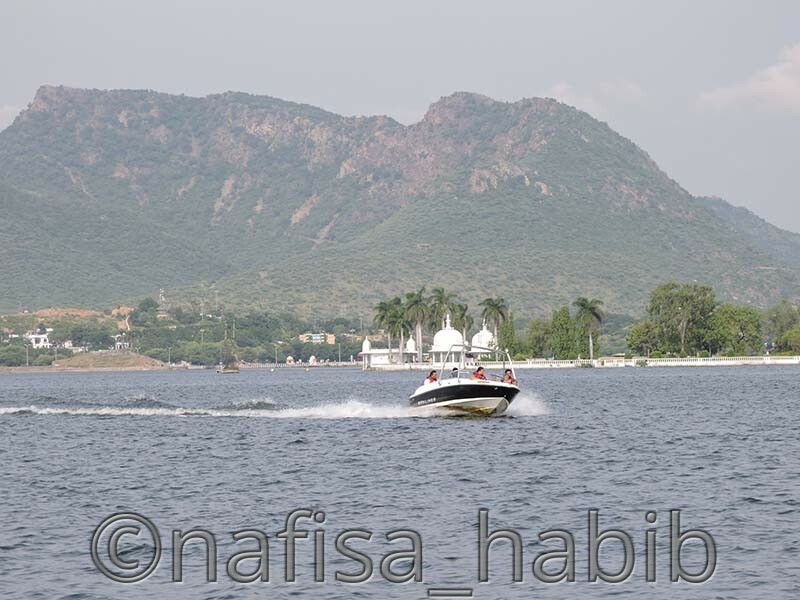 Lake Pichola plays a vital role in Udaipur Tourism. 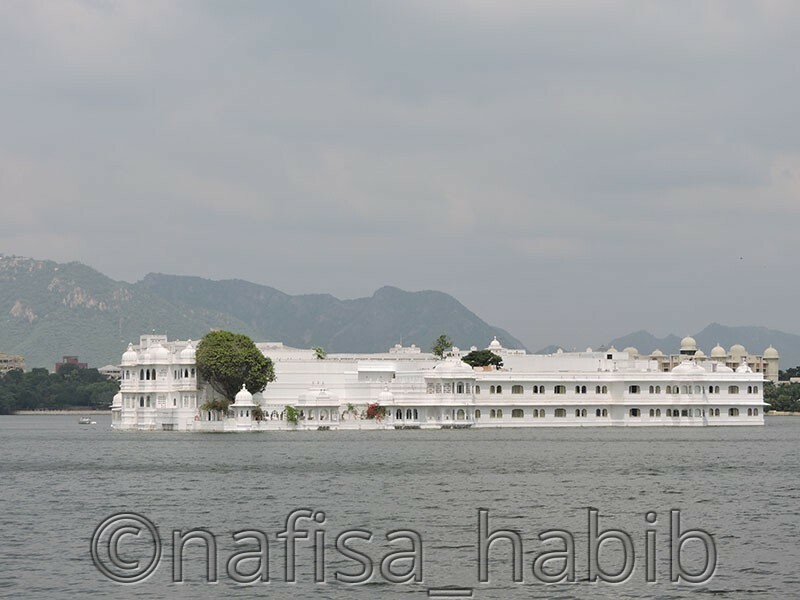 Most of the popular and luxurious hotels are located on the banks of the Lake Pichola. The beautiful City Palace and many other royal architectures have created an extra attraction of this lake. You can enjoy the fascinating sunset and the serenity of nature from the hotel itself nearby the Lake Pichola. 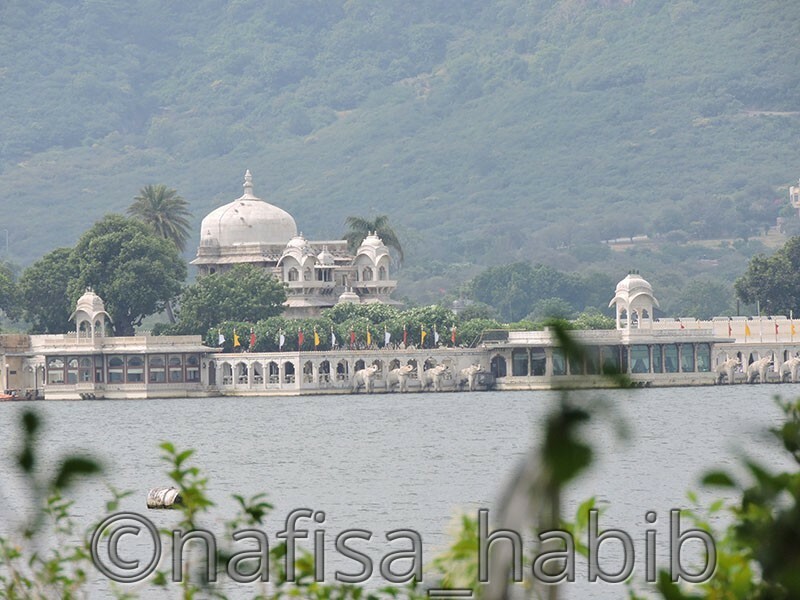 There are four islands namely Jag Niwas, Jag Mandir, Mohan Mandir, and Arsi Vilas on the Lake Pichola. And among four Jag Niwas and Jag Mandir are the popular and romantic tourist attractions worldwide. 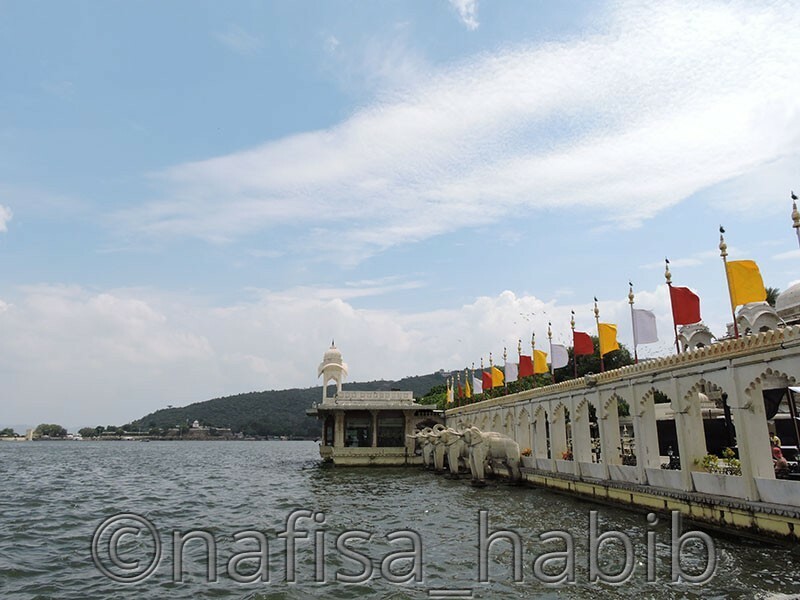 Jag Mandir is a beautiful island with palace and garden which itself named as Jag Mandir or Lake Garden Palace. 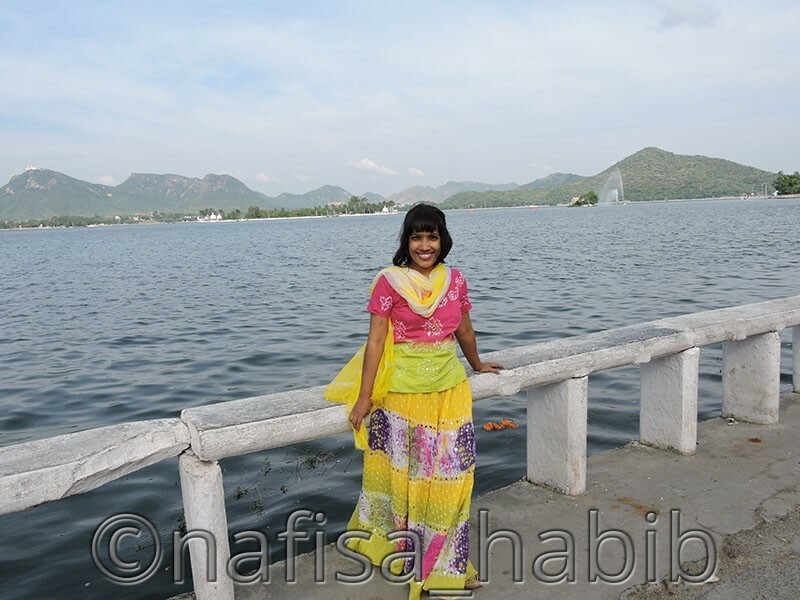 I was waiting at the Bansi Ghat jetty for boating on the Lake Pichola and which will lead to Jag Mandir Ghat. I loved the remote view of the lake from the jetty. Jag Mandir Palace was built by Mewar Maharanas between 1551-1652. It used to be the summer resort and palace during that time. 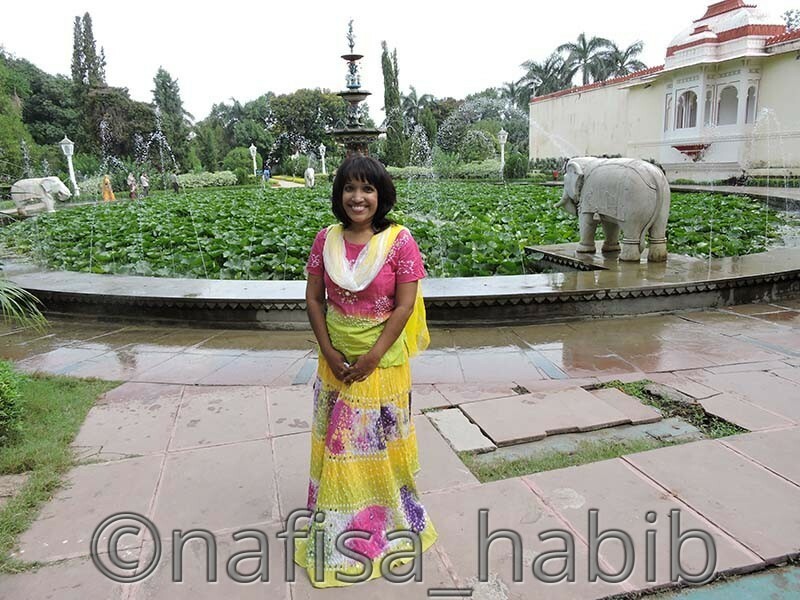 It was one-hour boating, and half an hour was for exploring the beauty of Jag Mandir Palace and Garden. I took an entry to the palace from the Ghat. The entrance to the palace, which decorated with eight marble sculptures of elephants is very eye-catchy. You’ll love the beautiful decoration of the entire palace. 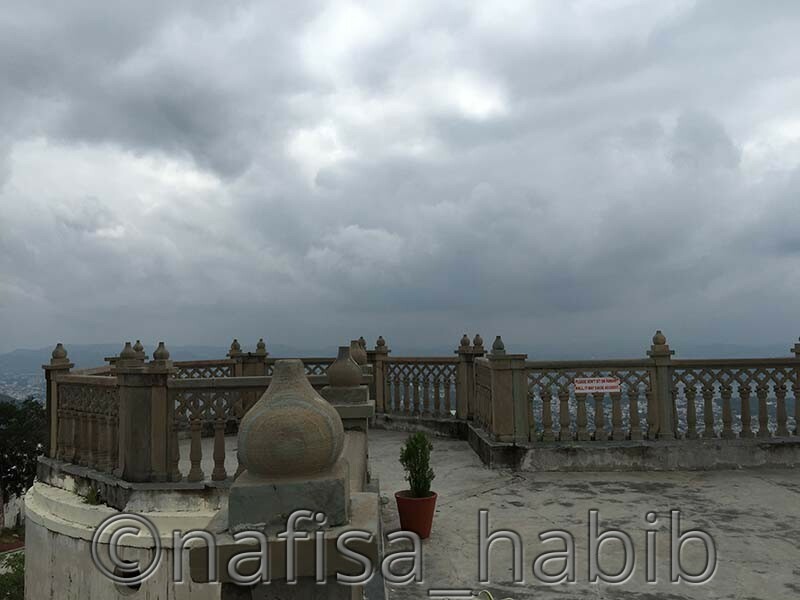 I went to the rooftop of the palace, oh; it was so windy, and the top view was romantic and mesmerizing. Many programs and wedding parties do arrange inside the palace. I found couples sitting in the window corner of the Jag Mandir while enjoying the lake view too. I moved around and took snaps after snaps and then went to explore the Jag Mandir Garden. WOW!! The entire garden nicely maintained by the authorities! Yes, I’ll never forget the romantic and lovely walk through the walkway of the garden. Surely, I want to back again here. 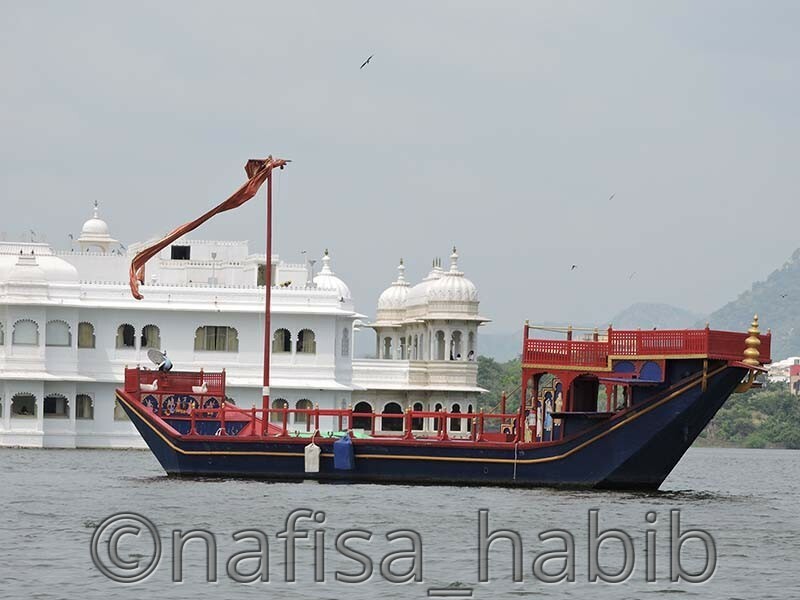 Boating charge on the Lake Pichola (with Jag Mandir) per person cost 430 rupees (same for locals and foreigners). During sunset boating charge is higher than at other times. No extra charge for the camera. 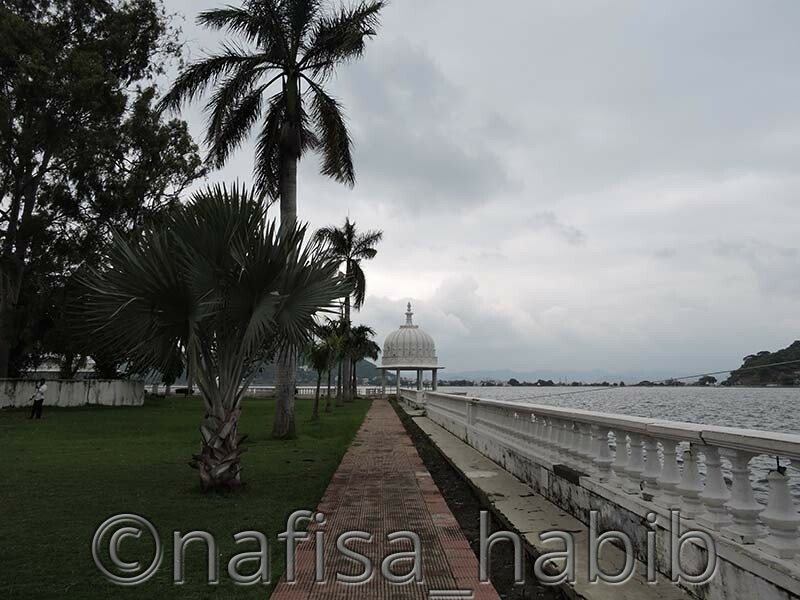 Lake Palace on Jag Niwas Island is a beautiful white marble Hotel and now operates as Taj Hotels Resorts and Palaces. The Early time it was called as Jag Niwas, built in 1362. It used to be the royal summer palace of the Mewar Dynasty. Only guests are allowed to enter inside via speedboats provided by the hotel authorities. If you’re planning a romantic and luxurious dinner or date to surprise your beloved, then you just got to explore. It is like a dream you’re going to give a reality. Will you like also? I just enjoyed the remote and close view of this beautiful architecture while boating on the lake and captured some candid shots. Hey, trust me, it’s a heavenly place for all photographers around. 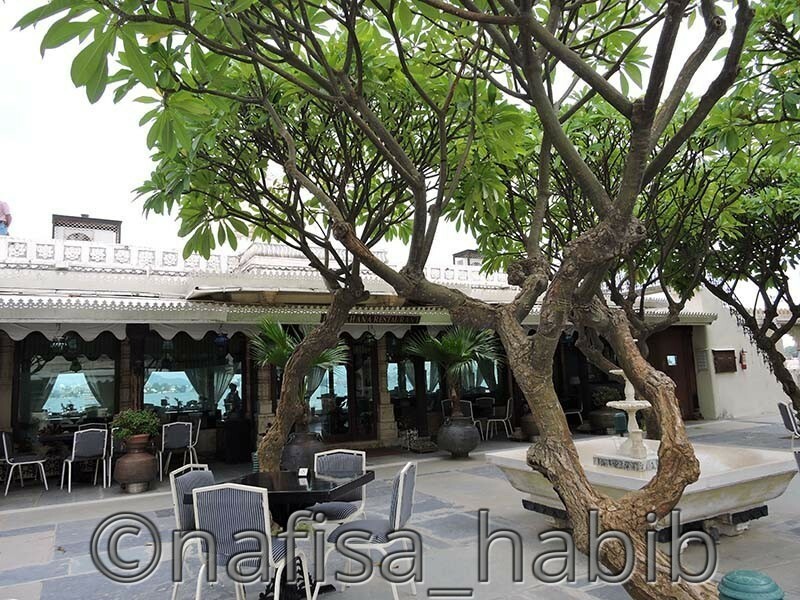 And for getting all the details regarding this hotel, don’t forget to visit their website. 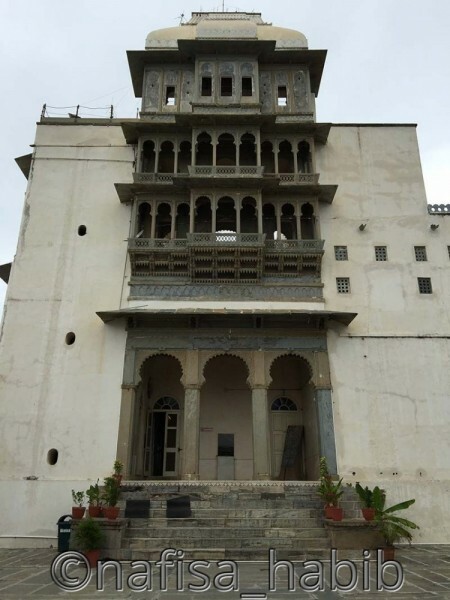 Monsoon Palace is just 4 km away from the Udaipur City and located in Sajjan Garh. During the reign of Mewar, this palace is used by the Maharanas as a summer resort. 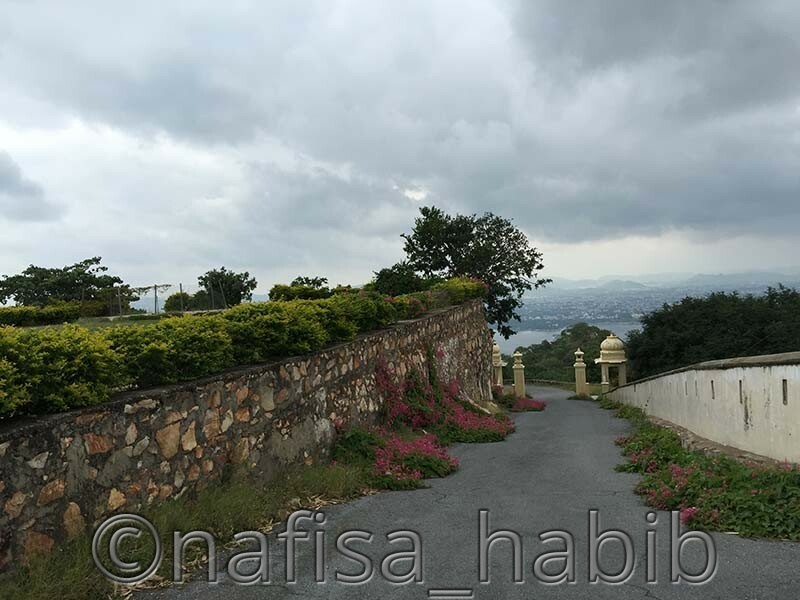 The palace was built in 1884 and mainly used to observe the monsoon clouds, and so it named as Monsoon Palace. Well, now it is known as Sajjan Garh Palace too. According to me, it is the most romantic palace in the City, why? 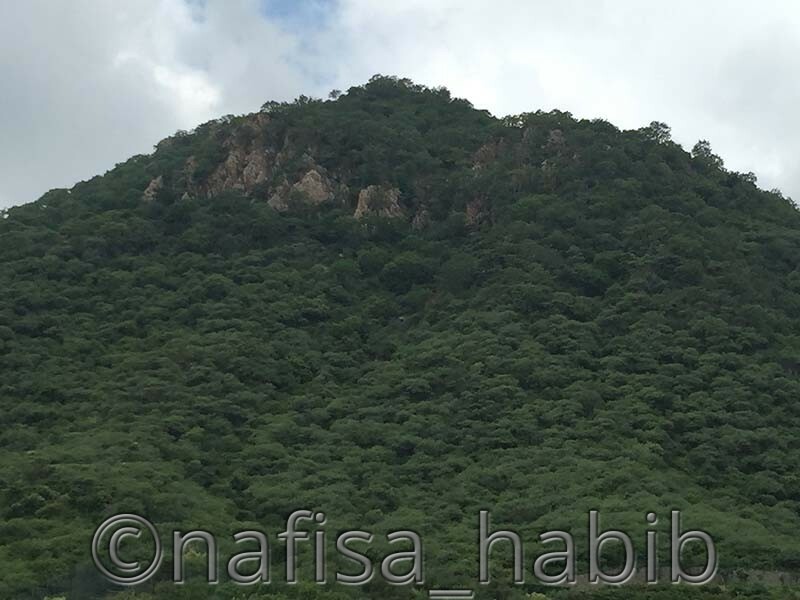 This is located at the top of the Aravalli Hill ranges which is about 3100 ft above the sea level. Now imagine the natural beauty from here, can you? How peaceful it was while enjoying the remote view of the lakes, and hills from this palace! It will also give you the most beautiful panoramic view of the Udaipur rural side. It was very adventurous while enjoying the Jeep Ride to enter the palace. The forest-like walkway is so breathtaking. You can enter the white marble palace to explore. The name of the designer of this Rajput Architecture is Maharana Sajjan Singh. If you’re in Monsoon Palace, why not also visit the Sajjan Garh Biological Park? Yes, just beside the Monsoon Palace. This is actually a zoological park and very nicely maintained by Forest Department here. It is also known as Sajjangarh Wildlife Sanctuary. 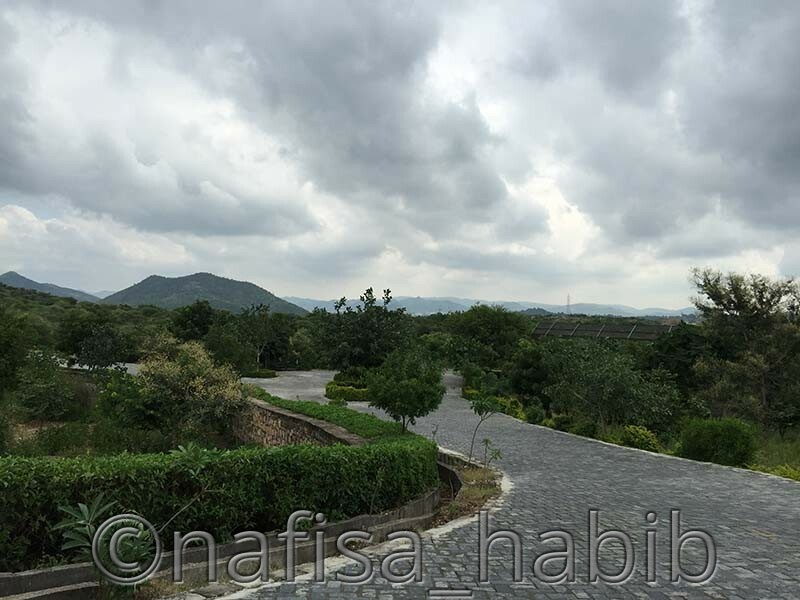 The reason I’ve listed this place under the romantic attraction is the breathtaking closer view of the Aravalli Hills from the park. How loving it was! Can money really buy happiness and love? The answer is no. I found myself most romantic and happiest that time standing under the sky, and surrounding me the beauty of nature. It cost me nothing except some pennies. But it became the lifetime experience to feel and adore always. The entrance fee for Monsoon Palace is 140 rupees. The entrance fee for Sajjan Garh Biological Park is 30 rupees. For a camera, the extra charge included. There is one cafeteria, outside the palace complex. Personal vehicle cost allowed to enter the palace, and it is higher. It is recommended to take the authority vehicle in less charge and group-wise you can share. 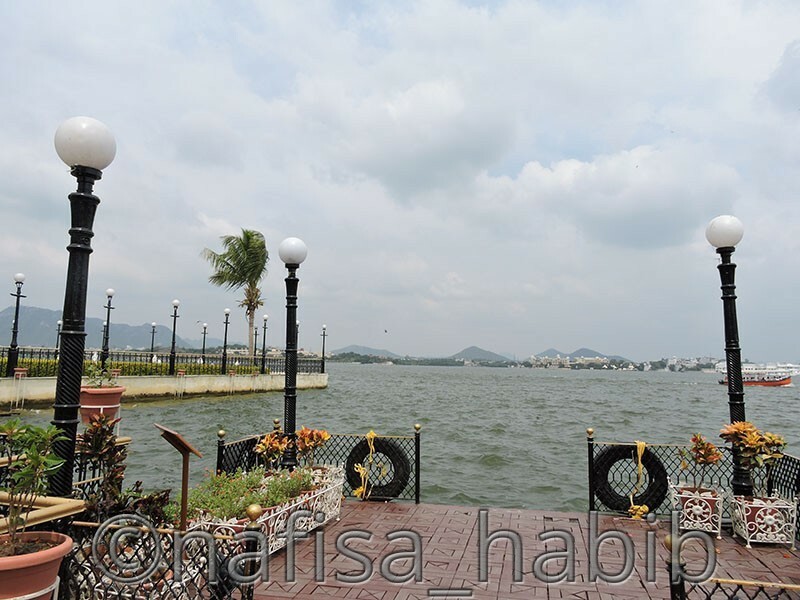 Fateh Sagar Lake is the most popular tourist attractions in the city. Mostly locals here enjoyed passing their leisure time in the lake area. It was built in 1678 and has three islands on the lake. Nehru Park is the largest island here. The other island is a Water Jet Fountain, and it is really beautiful during night time. 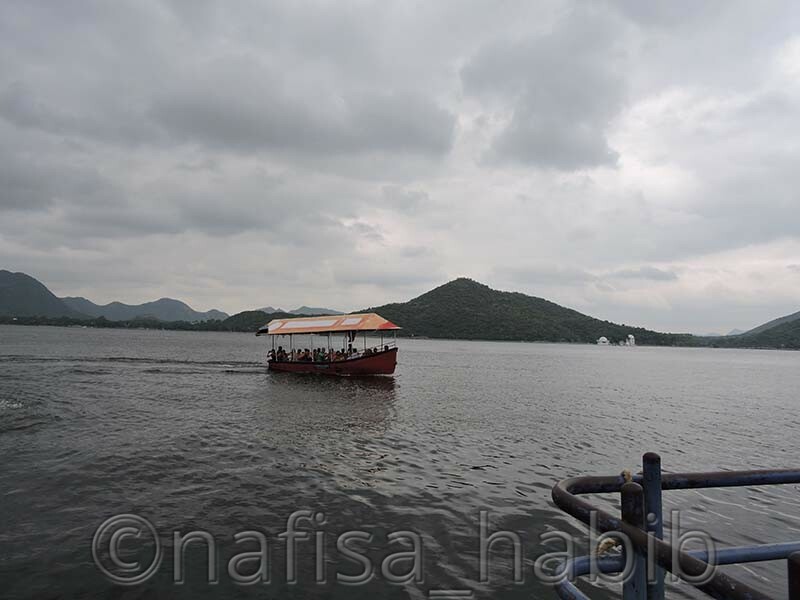 The third island is known as Udaipur Solar Observatory. 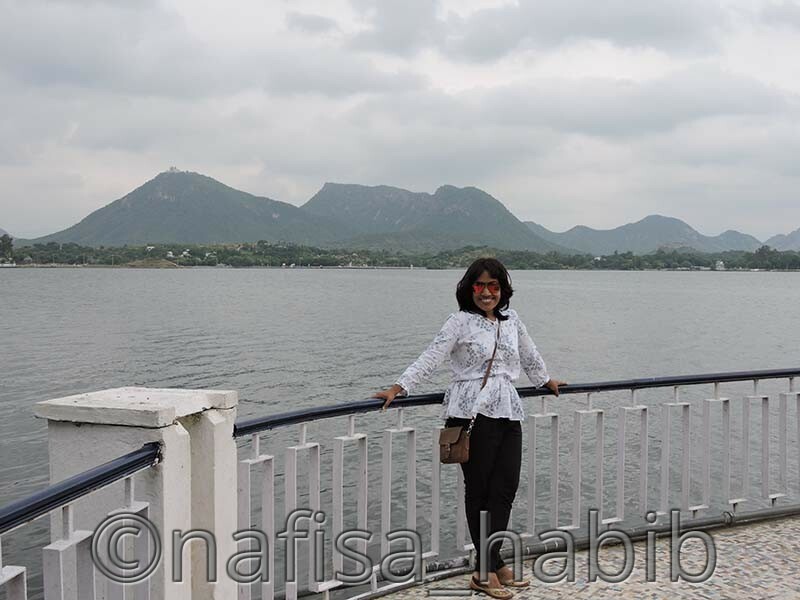 It was very soothing to enjoy the lake view with the beauty of the Aravalli Hills. I liked the boating here and saw a big list of different boating ranges. I found speed boating is interesting here though never tried. I went for group boating while loving exploring the beauty of Nehru Park, the serene Island Park at the center of the lake. It was an hour boating experience, and half an hour was for exploring the Nehru Park. 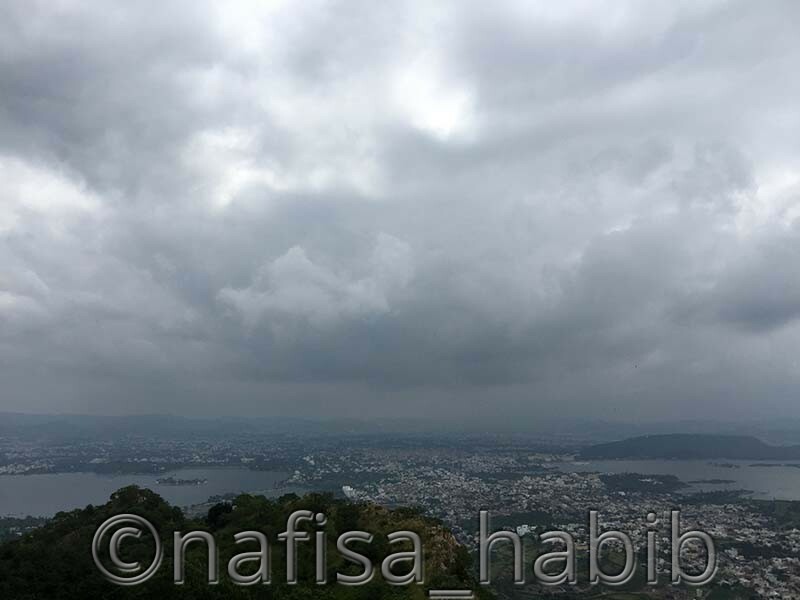 I really liked the serenity and the calm view of the Fateh Sagar lake from the park. Just nothing needed, romantic view of the lake can be your best company or enjoy sitting in one corner of the park chair and view the nature. I even enjoyed the solitary walk. Yes, it was peaceful. Saheliyon Ki Badi is actually an attractive garden surrounding with many long trees and beautiful flowers. 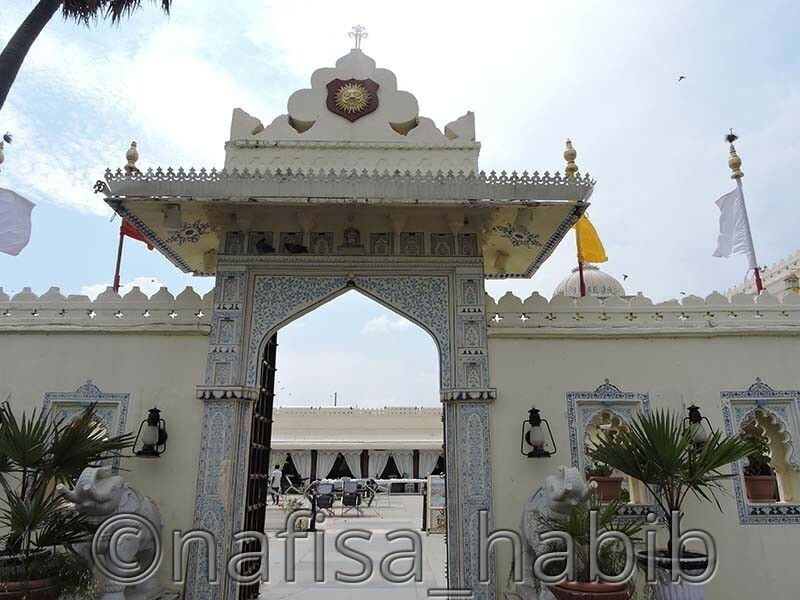 It is another popular tourist attraction in Udaipur. It was built between 1710-1734 during the reign of the Mewar for the royal women. The meaning of the Saheliyon Ki Badi is the Garden of the Maidens. It is said that forty-eight young unmarried girls did accompany a princess here during her marriage, and so it became named as the Garden of the Maidens. I loved the greeneries here and the artificial rain fountain the most. While it was raining through the fountain, I enjoyed the view of the rainbow too. 🙂 There are a lotus pool and elephant-shaped fountains. The entire atmosphere is beautiful and romantic. It was worthy of watching those while walking through the walkway of this garden. In Rajasthan, the elephant is considered as the Symbol of Good Luck, and so in almost everywhere, you’ll see the marble sculpture of the elephants. The entrance fee for Saheliyon Ki Badi is just 50 rupees. Guides are available to accompany you to know the history behind this royal garden. 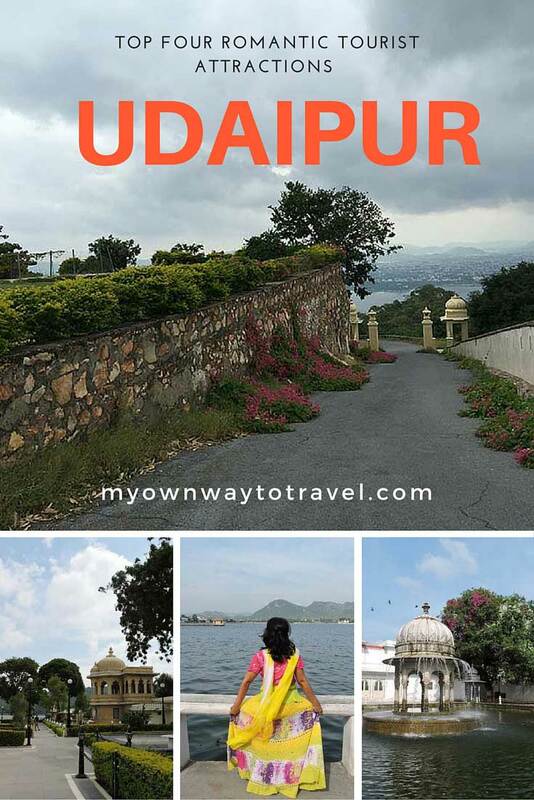 Have you been to Udaipur? 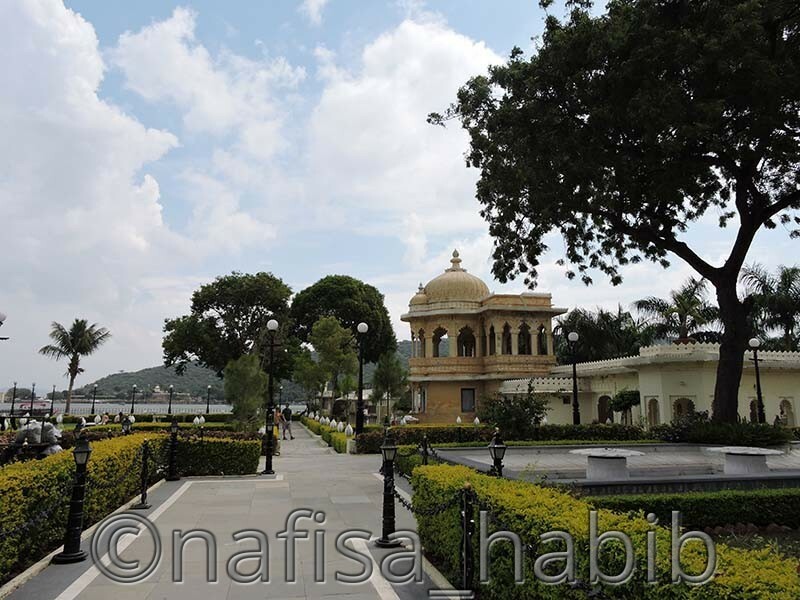 Share your favorite romantic tourist attractions in Udaipur. Hey Nafisa. 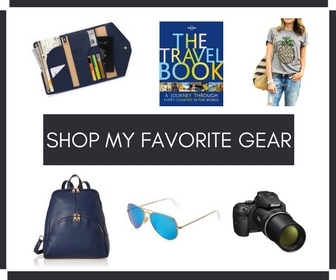 loved your pictures! I agree that Udaipur is so magical. Amazing place to visit for a day or two!